Guaranteed fresh smelling, deep cleaned and quick drying. 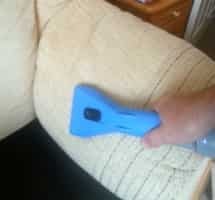 If you are looking for upholstery cleaning doncaster you have come to the right place. With a huge amount of experience and having been trained by the top people in the industry such as the National Carpet Cleaning Association and other excellent training organisations. You can be sure that when we come to clean your sofa, you will get the very best job. Using only the safest chemicals on your valuable furnishings we can carry out a safe deep clean on almost all materials. We do extensive testing before we start and will highlight any issues that we feel you may be interested in. We respect your home and we won’t make a mess! We do all the work ourselves. We are a family firm living and working in Doncaster, and when we say we do the work ourselves that is exactly what we mean. We don’t mean we advertise to get work then pay somebody else to it. It is our company and we treat every piece of furniture as if it were our own. Upholstery cleaners that have been properly trained are not easy to find in Doncaster. All upholstery is different. Some have natural fibres such as cotton and some are synthetic. They all need to be identified and treated in different ways. Different products are used to release the soil in different ways and different methods are used by upholstery cleaners to get around specific issues with the range of fabrics that cover our suites and furniture these days. All you are interested in really is can we clean your sofa, and that can we do it without damaging it at a reasonable price. Well the answer is yes, we can. We have cleaned hundreds of sofas and suites over many years. And we just keep getting better. We use products that do not leave a sticky residue which just attracts more dirt when we have gone. We use micro splitting technology that does not have a detergent or bleach component. This is the modern way to clean car upholstery and we consistently get great results. Leather cleaning and repair is almost an art. Leather comes in many grades and some of the synthetic leathers are so good we use a microscope to determine the best way to clean it. The products for leather upholstery cleaning and repair are many and varied. It takes a long time to be able to learn the art of leather suite cleaning to the level where it is possible to offer it as a service. As with fabric upholstery cleaning, we test and analyse your leather sofa before we do anything. This is very important. If the wrong products are used it can cause lasting damage, and nobody wants that! We clean the suite thoroughly and we condition the leather for you. If there are any leather repairs to do we can do them for you. This makes the furniture last much longer and keep its great appearance for much longer too. 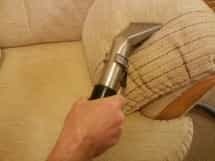 Doncaster upholstery & leather cleaning. A truly local service. Fully trained and insured upholstery cleaners in Doncaster. We are here to give your sofa the very best clean possible. It will be fresh smelling, looking great and will be envy of your friends. 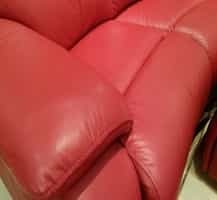 We are fully trained in leather cleaning and repair and provide a free survey telling you what we can and what we can't do with your leather sofa. We can carry out any leather repairs from a few cat scratches to major rips and cuts in your leather sofa. We also offer leather re colouring. So if you have changed your decor and want your comfortable leather chair to match. We can do that for you! Call us today on: 01302 272701 or text us with what you need doing and we will text you right back with a price. Upholstery cleaning text a quote If you just want a price, send me a text and I will text you back with an estimate. It's easy, and I won't bother you. Any time, day or night! Upholstery protector offer. We are doing a great deal on upholstery protector at the moment. Just £10 per seat for great stain protection for your sofa! Offer closes 30th March. Call now 01302 272701.